Nine artists. 24 pieces of concept and promotional art. One game of the year contender. That's what we're showcasing today in a very special edition of Fine Art, Kotaku's daily look at the art - and artists - creating the worlds from the game's you love. This feature normally covers an individual artist, but today we're blowing the doors off and featuring pretty much the entire art team behind Naughty Dog's masterpiece, which is awesome not just because the work these guys do is woefully under-appreciated (publishers rarely publicly credit the actual artists behind the work they use for wallpapers/promos), but because it's really amazing stuff. Seriously, if you've played the game, and are as engrossed in the lush/devastated world as we are, this is where it all started. 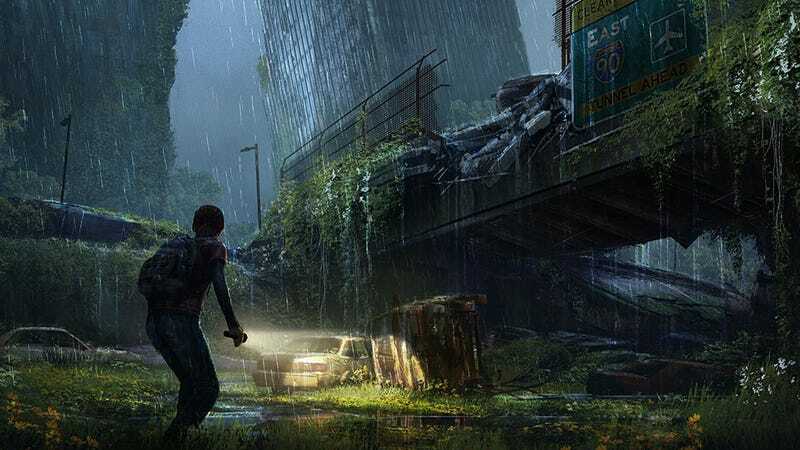 You can see how well the artist's work has made it into the finished product, a testament not just to their original creative vision, but the skill with which Naughty Dog's animators, designers and programmers can turn that into a 3D virtual space. A lot of this stuff can be seen in the flesh in an art book that's out soon. Below you'll find the names of the artists responsible for each respective piece, as well as links to their personal sites if you wanna check out more of their work. If you're in need of a new desktop wallpaper, good news: most of these are huge. UPDATE - Updated with more art. WARNING: While there's no out-and-out SPOILERS, ala the Mass Effect 2 art book giving away the final boss, some of the environments here could, I guess, be considered mildly spoilerish. You've been warned!